Behind every job there is a story. 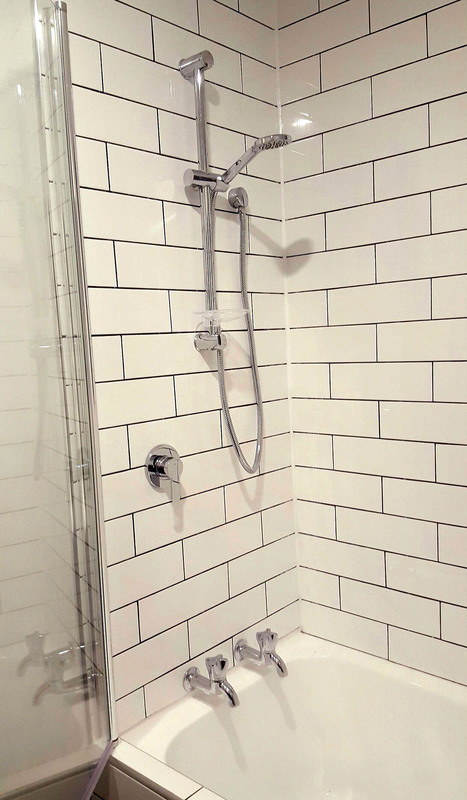 This one starts with a homeowner, and a vision to renovate her bathroom from an outdated 1970’s relic to a modern, clean, and functional bathroom. The story starts with Joanne and her first tradie, a referral from a friend. The tradie seemed great. 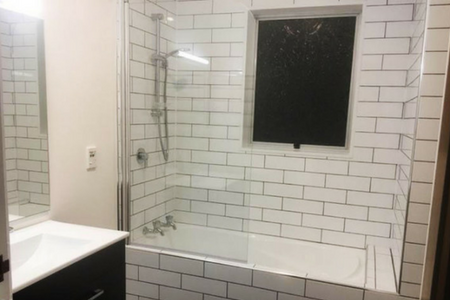 The homeowner and the tradie agreed that Joanne would buy everything that was needed for the bathroom, and the tradie gave her a cost to install and renovate to her plan. Fast forward three months and the tradie was nowhere to be seen and uncontactable. 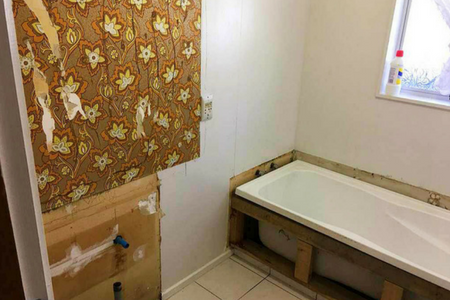 With the goods for her bathroom waiting in Mitre 10 and a loan taken out for the project, Joanne was desperate to get the job underway. All Joanne had to do, was her due diligence, choose a tradie and get her project underway. 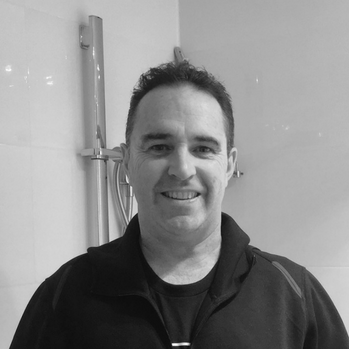 Joanne chose Tim from Gryphon Service Systems, a tradie experienced in performing quality installations; including wet areas, painting, plastering and tiling, all based on his reviews, his excellent communication, service and attention to detail. 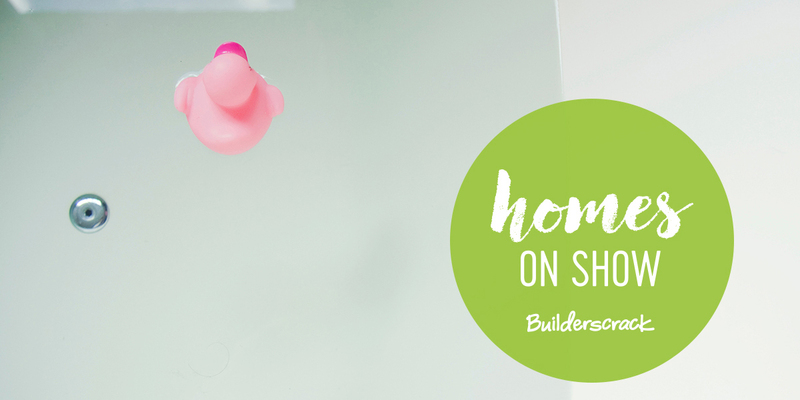 Joanne wanted a clean, crisp and modern, functioning bathroom – a far cry from the 1970’s bathroom with its ineffective fittings and electrical components. There was also another problem lurking in the outdated bathroom. “This might be too much information, but there was a smell, that we couldn’t find. I was forever with bleach, cleaning and carrying on. There was always a smell around the bathroom, if not the whole house”. When Tim the tradie lifted the floor tiles, he found rotten floorboards, the source of the smell, a result of old leaking pipework. 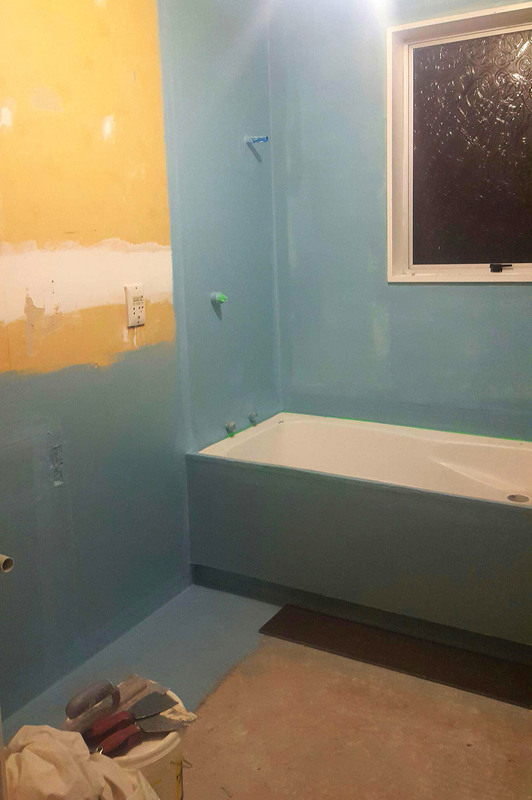 Not only did Tim and his team fix and replace the rotten floorboards, but they also refurbished the entire bathroom. Stripping the existing bathroom, aqualine and waterproofing around the bath area, replumb, installing new electricals plugs, switches and lights, plastering, painting and tiling, plus installation of toilet, bath, vanity and fittings. 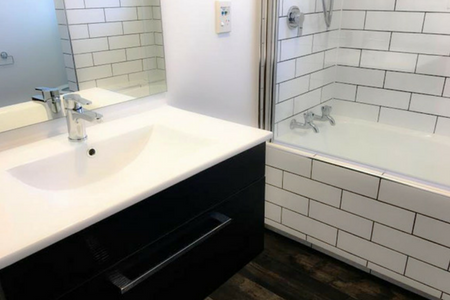 With Tim’s suggestions and input, Joanne got a high spec bathroom that would not only improve the functionality of the home but also add to the overall value of her house. 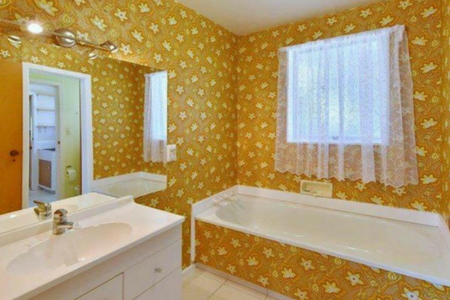 From speaking with Joanne, it is evident that she is very proud of her new bathroom and is ‘phenomenally happy’. Her review speaks volumes. Get your project started; post a job, find a tradie and bring your home renovation vision to reality.